According to legend, Veronica wiped the sweat from Christ’s brow with her veil as he carried the cross to Calvary and, miraculously, an image of Christ’s face became emblazoned on the cloth. The piece of fabric believed to be Veronica’s veil is preserved in St. Peter’s Basilica in Rome and has long been one of the most prized relics of Christianity. Here, Zaganelli creates a replica of Veronica’s veil in paint. 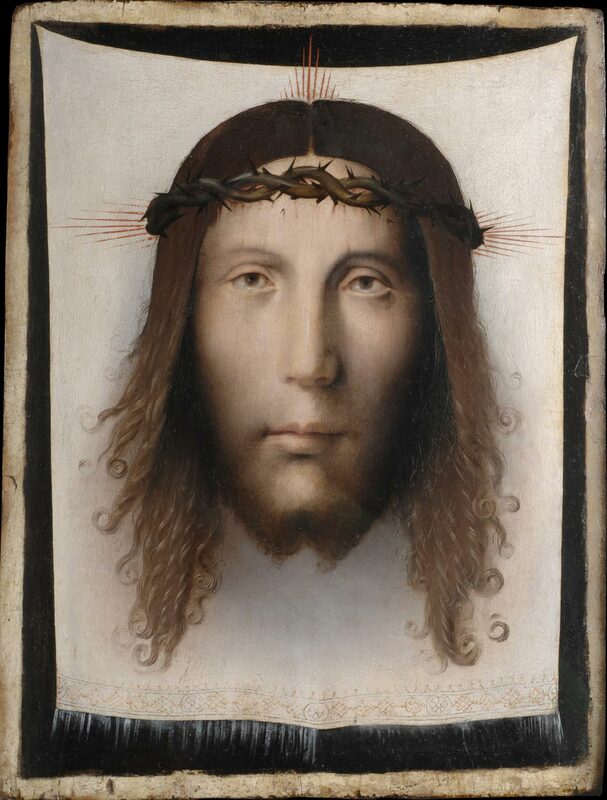 Like the relic, this portrayal of the disembodied head of Christ bespeaks the perceived power of the image of Christ and the deep veneration inspired by representations of his face.